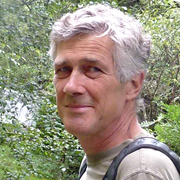 Ruud Buijs is professor of neurobiology and senior research scientist at Biomedicas Institute at the UNAM university in Mexico, leading a group on Hypothalamic Integration. In the last 15 years his work has focussed on the role of the biological clock where his contributions mainly relate to the communication of the clock with the body. · the regulatory systems for annual reproductive cycles. · the description of communication pathways between the biological clock and the autonomic system including its control on adipose tissue, heart and immune system. In our conversation I will aim to cover the mechanisms that our brain is using to synchronize our physiology to the requirements of the day. The importance of such synchronization for our health has been demonstrated in many different studies. The first task of our brain is that it needs to take care of itself, for that it has an elaborate system that provides it continuously with information about the state of our body. Naturally the state of energy in our body is of the utmost importance because our brain uses up to 20% of the available energy most in the form of glucose. Only if that is available in sufficient amounts then the brain can think of reproducing itself. Because the available energy depends for all organisms on the energy of the sun many systems have developed that take into account the day night cycle and thus the availability of food. This appears to be the main organizational principle in most organisms. Therefore we will see a very close association between time energy and physiology. Therefore time is important for the functioning temperature regulation, reproduction, metabolism, circulation and immune system. Therefore the mechanisms of this interweaving of time with these different physiological systems will be the topic of our conversation.